Exercise to ease depression – can it work? Can a stroll help ease depression? 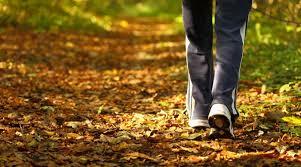 That question preoccupied Dr. Madhukar H. Trivedi, a professor of psychiatry at the University of Texas Southwestern Medical Center in Dallas, after several of his patients, all suffering from serious depression, mentioned that they felt happier if they went for a walk. The patients in question were taking the widely prescribed antidepressants known as S.S.R.I.’s, for selective serotonin reuptake inhibitors, but not responding fully. They remained, by clinical standards, depressed. Dr. Trivedi and his colleagues began to wonder if adding a formal “dose” of exercise would increase their chances of getting better. Certainly the possibility was worth investigating. Clinical depression, as anyone who has experienced or watched a loved one struggle with the condition knows, can be stubbornly intractable. Even if patients have been taking an antidepressant for months, recovery rates tend to hover below 50 percent. In order to increase the odds of improvement, doctors frequently add a second treatment — often another drug, like lithium or an antipsychotic — to the S.S.R.I. regimen at some point, Dr. Trivedi said. Most patients ultimately require at least two concurrent treatments to achieve remission of their depression, he said. Studies have shown that these secondary drug treatments help an additional 20 to 30 percent of depressed patients to improve, but the medications can be expensive and have unpleasant side effects. Which prompted Dr. Trivedi to look to exercise. His investigation joins a growing movement among some physiologists and doctors to consider and study exercise as a formal medicine, with patients given a prescription and their progress monitored, as it would be if they were prescribed a pill. In this case, Dr. Trivedi and his collaborators, who included researchers at the Cooper Institute in Dallas, the Pennington Biomedical Research Center in Louisiana and other institutions, recruited 126 people with depression who had been using S.S.R.I.’s for a minimum of two months, without achieving remission. None of the patients exercised. Dr. Trivedi and his colleagues divided these volunteers into two groups. One began a gentle aerobic exercise routine, under the tutelage of Cooper Institute researchers, which required them to burn a certain amount of calories per session, depending on their weight. How the subjects expended the energy was up to them. Some walked for about 10 minutes a day, on a treadmill or by strolling around the block, at a pace of three miles an hour. Others chose an equivalent easy cycling workout. The second group was more energetic, walking briskly for about 30 minutes a day at a pace of four miles an hour, or the cycling equivalent, a regimen that meets the current exercise recommendations from the American College of Sports Medicine. Each volunteer exercised for four months, while continuing to take an antidepressant. At the end of that time, according to the study published recently in The Journal of Clinical Psychiatry, 29.5 percent had achieved remission, “which is a very robust result,” Dr. Trivedi said, equal to or better than the remission rates achieved using drugs as a back-up treatment. “I think that our results indicate that exercise is a very valid treatment option” for people whose depression hasn’t yielded to S.S.R.I.’s, he said. As with most scientific findings, though, there are caveats. One is practical. More patients improved in the group that completed the longer, brisker workouts than in the group assigned the easier exercise, but more of them also dropped out of the study. “We need to find ways to support people’s efforts to exercise,” Dr. Trivedi said. “It’s not going to be enough to casually say, ‘Go for a walk.’” Exercise, if it’s to be medicinal in depression treatments, will have to be monitored, he said, so it can’t be shrugged off. Even then, many people will not respond. Almost 70 percent of the volunteers in this study did not achieve full remission. Failure rates were particularly high for women with a family history of depression, perhaps as a result of some as yet unknown genetic quirk. And women in that group who did recover were more likely to succeed using the lighter exercise program than the more strenuous routine. Then there is the issue of a control group, whose members would have continued with their S.S.R.I.’s but not exercised. This study did not have one, making interpreting the results tricky, said James A. Blumenthal, a professor of psychology and neuroscience at Duke University who was not involved with this study but who has written extensively about exercise and depression. Perhaps four additional months of S.S.R.I. treatment raised people’s moods, and the exercise was incidental. “Evidence is accumulating that exercise may be an effective treatment for depressed patients who are receptive to exercise as a possible treatment and who are able to safely engage in exercise,” he said. But the evidence is by no means definitive. Still, Dr. Trivedi said, although additional studies certainly are needed, there’s no reason for people with unyielding depression not to talk now with their doctors about exercise as a treatment option. “Side effects are almost nonexistent,” he said, “while you get additional benefits, in terms of improvements in cardiovascular health and reductions in other disease risks,” things antidepressant drugs do not provide. “Plus,” he pointed out, “the cost profile is very favorable.” Exercise, as medicines go, is cheap.